Lily Halabi, owner of Lily’s Cakes in Temple and Harker Heights, was a member of the winning team of “Holiday Wars,” which aired Sunday night. A Central Texas baker is celebrating her second big win on the Food Network, taking home the $10,000 team prize after winning on a weekend episode of "Holiday Wars" with a creative Christmas cake. After Monday night’s episode of “Cake Wars” aired, one baker on the Food Network’s competition show stood victorious — Lilian Halabi, owner of Lily’s Cakes in Harker Heights. 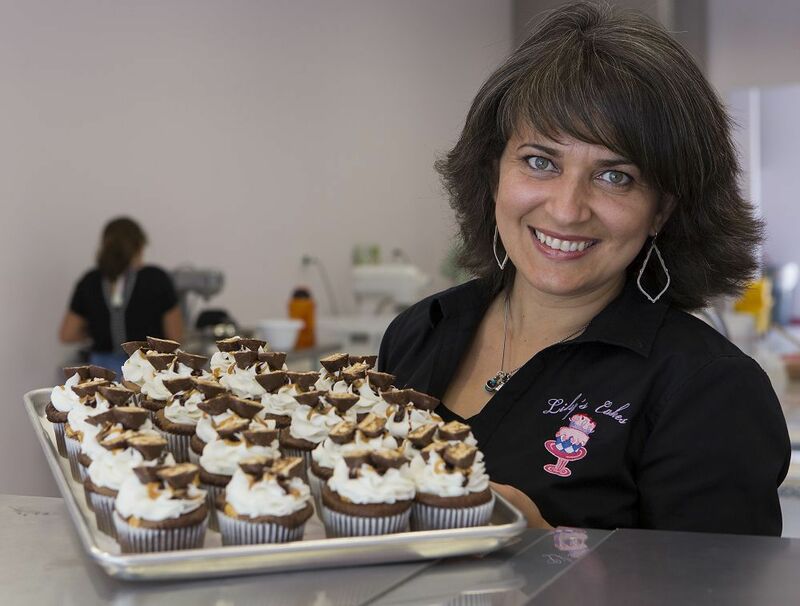 Lily Halabi, owner of Lily’s Cakes, will be a competitor on the new television show, “Holiday Wars,” airing 7 p.m. Sunday, Nov. 25. This will be Halabi’s third appearance on Food Network. In January 2017, she appeared on the show “Cake Wars” and won the competition. Lilian Halabi says she's finally living the American Dream after winning "Cake Wars" on Food Network Monday night, 21 years after coming to the United States from Venezuela with high hopes. 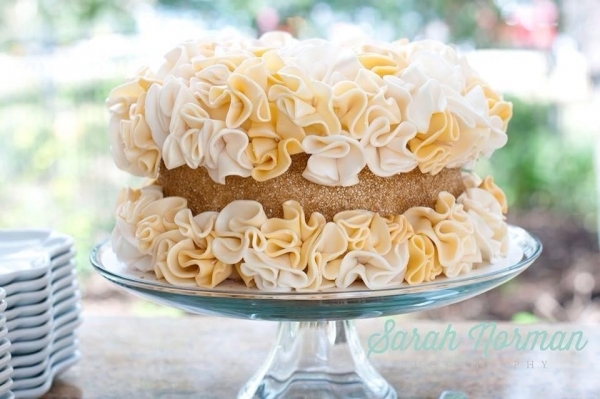 A representative of Lily’s Cakes, a Harker Heights business, will be among four bakers who will take part in a “Cake Wars” contest next week on the Food Network. Local Bakery Competes in "Cake Wars"
Lily's Cakes recently competed on the Food Network's "Cake Wars". You can watch how the local bakery did Monday January 23rd at 8PM on the Food Network. Lily currently resides in Central Texas with her husband and children who also help at the bakery. Along side them are a lovely team of ladies who work really hard to keep the quality and customer service exceptional! The workforce at the bakery includes Halabi, her two sisters-in-law and a cousin who help bake, decorate, set up display cases and assist customers. "Each and every one of the people who help me in my place are very hard workers, and I am very thankful for that," Halabi said. Lily's Cakes is custom cake shop in the Killeen/Harker Heights area. They are a family owned business and take pride in creating memorable confections for any occasion. All cakes are made to order so they are fresh and ready for you to enjoy! Desserts include but are not limited to cakes, cupcakes, cake-pops, fruits and more! Congratulations on your engagement! Here at Lily's Cakes, we know that planning a wedding can be exciting, so strive to make the whole wedding cake experience as pleasant as possible. 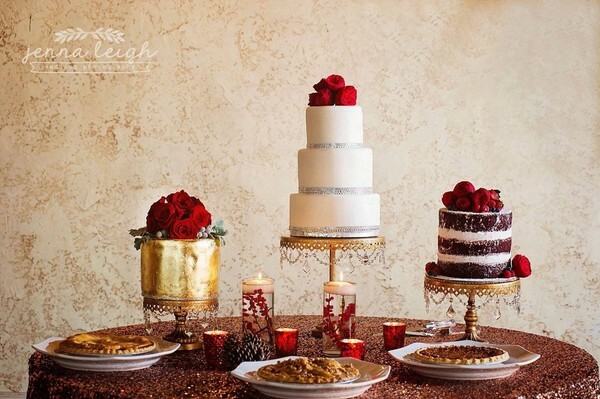 Get started on your wedding cake with a free consultation appointment, where we will collaborate with you on designing the perfect wedding cake design and discuss our most popular cake flavor, filling, and icing combinations. 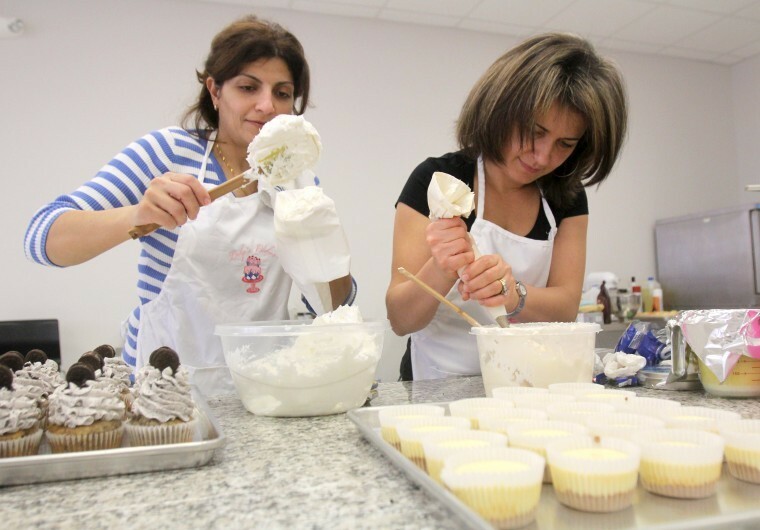 Lilian Halabi, owner and baker of Lily's Cakes is the heart and soul of the two-and-half-year-old specialty bakery in Harker Heights, Texas. Halabi has a knack for producing quality cakes while keeping a cheerful attitude in the kitchen. Rows of sweet, frosted treats sit on display in Temple’s newest pastry shop, showing off the handiwork of owner Lilian Halabi. Cake Wars' winner expands business with Temple shop. Something tells me you have at least heard of Lily’s Cakes located in Harker Heights and that they’re opening up shop in Temple this spring as well. With one victory under her belt, Lily Halabi, owner of Lily’s Cakes, at 360 W. Central Texas Expressway in Harker Heights, was ready for another “Cake Wars” competition on The Food Network. A new year brings new businesses to our communities. 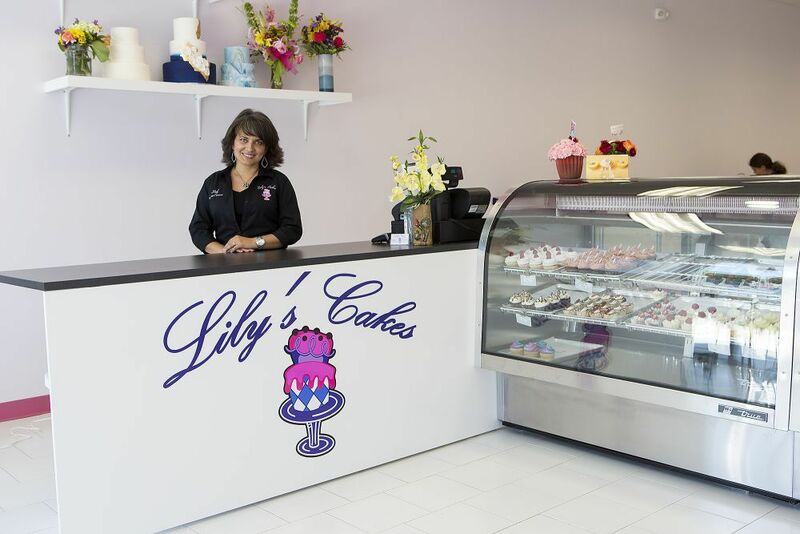 For some businesses like Lily’s Cakes in Harker Heights, the item on the menu is expansion. Local Harker Heights baker and business owner, Lilian Haibi is certainly living the American dream. In doing so, she helping to put Harker Heights even more into the national spotlight by winning an episode of Cake Wars, with her Monopoly-themed cake. TEMPLE, Texas - Lily's Cakes opened it's doors on Monday in Temple for it's second shop. "It feels overwhelming to know that there's so many people that really care about us," said Lilian Halabi, owner of Lily's Cakes. Halabi won the most recent episode of Cake Wars. The show airs on Monday nights on the Food Network. 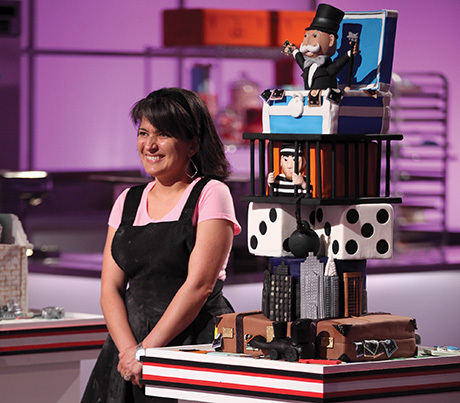 She and assistant Samantha Adkins went to Los Angeles this summer for the competition that required Halabi to bake a Monopoly-themed cake in a four-hour period. Former Cake Wars champion has scored again in Central Texas, this time in Temple. 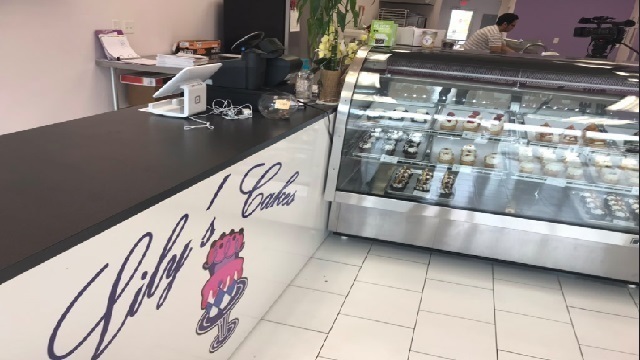 Lily’s Cakes opened its second location on Monday and customers were lined up waiting for those doors to open.